Constipation is a bowel condition for which an unbalanced microbiota would seem an obvious explanation. A link between microbiota and constipation does exist, but is not easily identifiable. Different studies have shown that probiotics contribute to relieving both constipation and IBS-C. Recently it is recognized that the effects of probiotics are mostly achieved by multispecies probiotics. People are often advised to increase their fibre and fluid intake and to exercise more. However, there is no conclusive scientific evidence for the efficacy of these measures. In addition, laxatives and volume-enhancing and moisture-absorbing agents are prescribed. Despite this, about half of all constipation patients consulting their GP are not happy with their treatment and frequently experience unpleasant side effects, especially nausea, abdominal cramps and flatulence. Long-term use can lead to kidney stones, damage to the colonic mucosa and diarrhoea. Figure 1: The Ecologic® Relief formula showed a significant increase in defecation frequency (A), a significant decrease in faecal incontinence (B) and a significant decrease in abdominal pain. The results of these two pilot studies with the Ecologic Relief® formula are promising and confirm that multispecies probiotics can be used safely in relieving constipation. In addition, no side effects were reported in either study. The research formulation Ecologic® Relief is not sold as a consumer product. However our worldwide business partners offer the formulation Ecologic® Relief as their own branded product. Thus the specific bacterial composition can be found in different products around the world. 1. Drossman, D.A. et al. Rome III: The Functional Gastrointestinal Disorders. (Degnon Associates, Virginia; 2006). 2. Diemel, J.M. et al. in Huisarts Wet, Vol. 53. (ed. N.H. Genootschap) 484-498 (2010). 3. Higgins, P.D. & Johanson, J.F. Epidemiology of constipation in North America: a systematic review. Am J Gastroenterol 99, 750-759 (2004). 4. Lindberg, G. et al. World Gastroenterology Organisation global guideline: Constipation--a global perspective. J Clin Gastroenterol 45, 483-487 (2011). 5. Mathus-Vliegen, E.M.H. Feiten en misvattingen rondom obstipatie. Ned Tijdschr voor Voeding & Dietetiek 67 (2012). 6. Zoppi, G. et al. The intestinal ecosystem in chronic functional constipation. Acta paediatrica (Oslo, Norway : 1992) 87, 836-841 (1998). 7. Khalif, I.L., Quigley, E.M., Konovitch, E.A. & Maximova, I.D. Alterations in the colonic flora and intestinal permeability and evidence of immune activation in chronic constipation. Digestive and liver disease : official journal of the Italian Society of Gastroenterology and the Italian Association for the Study of the Liver 37, 838-849 (2005). 8. de Meij, T.G. et al. Characterization of Microbiota in Children with Chronic Functional Constipation. PLoS One 11, e0164731 (2016). 9. a. b. Quigley, E.M. The enteric microbiota in the pathogenesis and management of constipation. Best Pract Res Clin Gastroenterol 25, 119-126 (2011). 10. a. b. c. de Milliano, I., Tabbers, M.M., van der Post, J.A. & Benninga, M.A. Is a multispecies probiotic mixture effective in constipation during pregnancy? 'A pilot study'. Nutrition journal 11, 80 (2012). 11. Chmielewska, A. & Szajewska, H. Systematic review of randomised controlled trials: probiotics for functional constipation. World J Gastroenterol 16, 69-75 (2010). 12. a. b. Picard, C. et al. Review article: bifidobacteria as probiotic agents -- physiological effects and clinical benefits. Aliment Pharmacol Ther 22, 495-512 (2005). 13. Miller, L.E. & Ouwehand, A.C. Probiotic supplementation decreases intestinal transit time: Meta-analysis of randomized controlled trials. World J Gastroenterol 19, 4718-4725 (2013). 14. Banaszkiewicz, A. 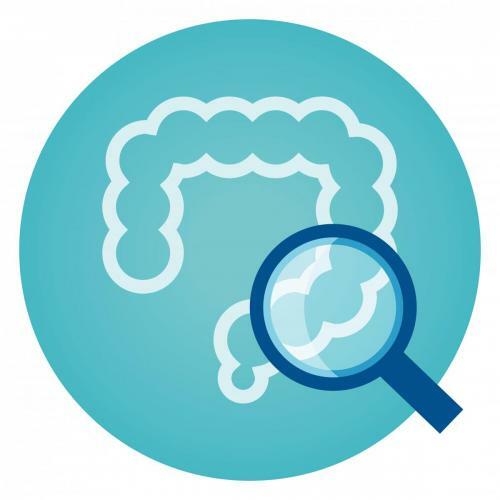 & Szajewska, H. Ineffectiveness of Lactobacillus GG as an adjunct to lactulose for the treatment of constipation in children: a double-blind, placebo-controlled randomized trial. The Journal of pediatrics 146, 364-369 (2005). 15. Bu, L.N., Chang, M.H., Ni, Y.H., Chen, H.L. & Cheng, C.C. Lactobacillus casei rhamnosus Lcr35 in children with chronic constipation. Pediatrics international : official journal of the Japan Pediatric Society 49, 485-490 (2007). 16. Timmerman, H.M., Koning, C.J., Mulder, L., Rombouts, F.M. & Beynen, A.C. Monostrain, multistrain and multispecies probiotics--A comparison of functionality and efficacy. Int J Food Microbiol 96, 219-233 (2004). 17. Mezzasalma, V. et al. A Randomized, Double-Blind, Placebo-Controlled Trial: The Efficacy of Multispecies Probiotic Supplementation in Alleviating Symptoms of Irritable Bowel Syndrome Associated with Constipation. Biomed Res Int 2016, 4740907 (2016). 18. a. b. Bekkali, N.L., Bongers, M.E., Van den Berg, M.M., Liem, O. & Benninga, M.A. The role of a probiotics mixture in the treatment of childhood constipation: a pilot study. Nutrition journal 6, 17 (2007).